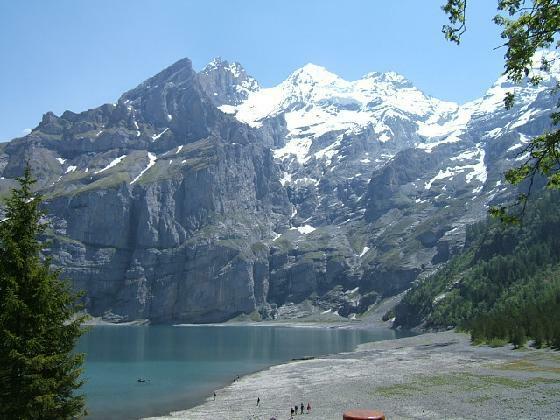 We have added a new section to the website for Kandersteg 2007.
trip, a detailed itinerary, and a hiking kit list so that you can start to get things together in good time. Other information will be added in the coming weeks, so keep checking back regularly. If you have any problems accessing this area please use "contact us" from the main menu. 1200 hrs Arrive at Kandersteg International Scout Centre. 1230 hrs Leaders Introduction to site. Group organisation and familiarisation of site, including “Discovery Trail” – a great way to introduce the centre to your group. 1430 hrs Orientation walk into Kandersteg Village. 0800 hrs	In groups suited to age and ability we will either, take a relaxed hike into the Gasterntal valley following the upper reaches of the Kander River, or ascend to 1934m by cable car to explore the beautiful Sunnbuel valley / Spittalmatte plateau, and for the more able and adventurous onward to the Gemmipass at 2346m with views over Leukerbad. 1300 hrs	Packed Lunch en route. 1630 hrs	Return to KISC. Free time on the Campsite – many activities to choose from! 1530 hrs	Free time on the Campsite – many activities to choose from! For Tuesday, Wednesday and Thursday our party is split into 2 groups A & B, to take part in the following activities. It is necessary to split up as some activities are restricted by age and numbers. Visit to Oeschinensee Lake by chair lift from Kandersteg Village. Take a few high speed runs on the summer toboggan (Rodelbahn). A 40-minute walk to the lake and then go for a bracing swim in the alpine lake. Picnic lunch on the way. 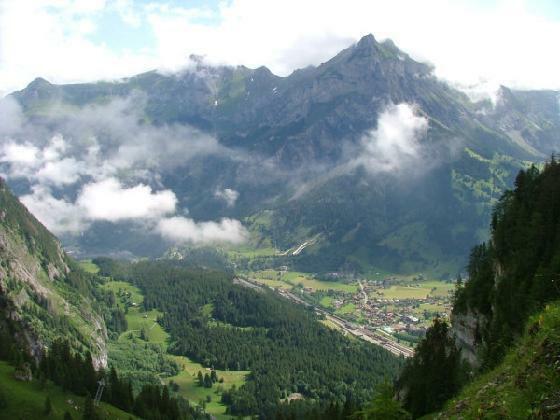 Descend back down to Kandersteg Village on foot and take in the stunning scenery. 1400 hrs start. Overnight trip to Ueschinen Hutte. 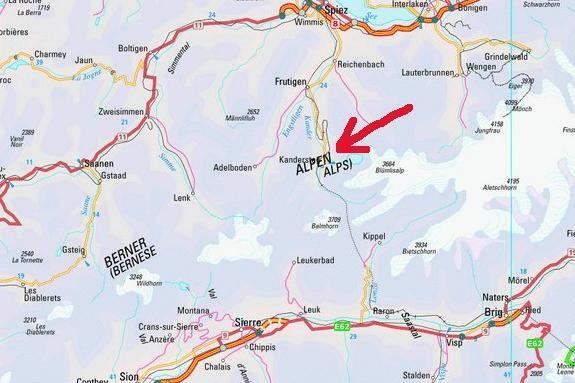 This is an excellent opportunity for Scouts to experience a night in a high alpine hut (1890m). 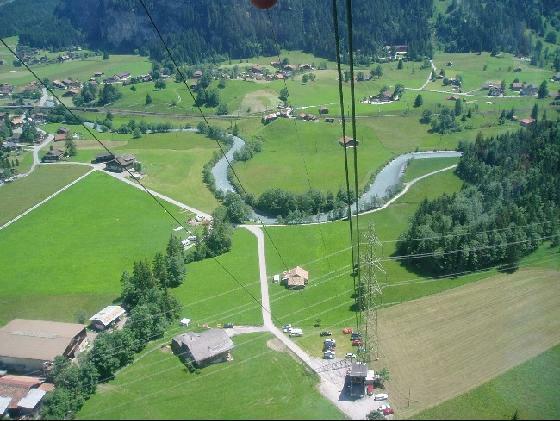 Younger groups gain height quickly using a cable car. The path then traverses into Ueschinen Valley with breathtaking views of the village and surrounding area. Once into the valley it’s a steady but easy climb to the Ueschinen hutte passing through traditional high alpine farms. Younger groups return to the camp centre the next morning on foot via a different route, while older more adventurous groups may hike further into the mountains returning to KISC later in the day. Tuesday night is the “Race the World” event at KISC – an evening of sports and challenges against Scouts from all over the world. Wednesday night is the International Scout Disco at the Village Ice Rink – popular with the older Scouts and Explorers Thursday night is the KanderChallenge – an hour of team challenges around obstacles, physical, logical, mental and Scouting – run by the KISC camp staff. 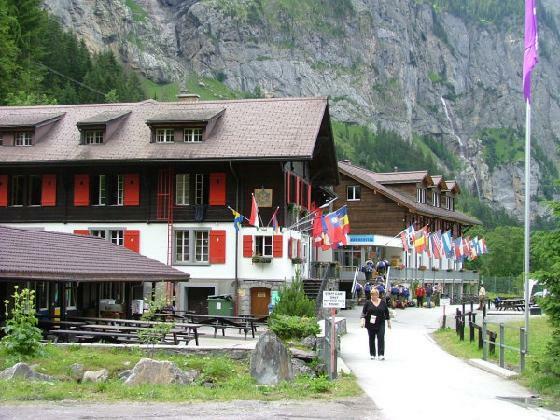 0900 hrs	Spend the day or half day hiking in the Kander Valley – visiting Kandersteg Village – shopping for souvenirs. 2000 hrs	Last night meal out at Des Alpes – a local restaurant. Traditional cuisine. Incorporating “1st Linslade Scouts on Tour” Awards. Some of these activities will involve you spending some of your pocket money, but most are free. There is also mini golf in the village if you can persuade a leader to walk there and back with you! 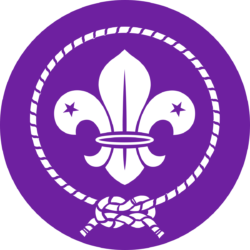 We hope that Scouts will want to try and pass some of the awards that KISC have available, such as the High Adventure Award, International Friendship, Swiss Mini-adventure Award, K.I.S.Challenge, Eco Adventure Award. All the badges can be worn on your uniform and look rather cool when you get home! The alpine environment can sometimes be dangerous. You can start a hike in sunshine in the morning and by the afternoon it can be raining or even snowing. It is therefore essential that individuals and our entire group have the correct equipment. If you do not have what the KISC instructor considers to be suitable equipment to take part in one of their activities, then you will be unable to participate. If you are excluded due to lack of equipment, this could effect others in the group as we won’t be able to leave you behind on your own – someone will have to stay with you! Hiking boots with ANKLE SUPPORT. Strong and comfortable. Don’t leave buying new boots until two weeks before we go! They need to be “worn” in. GET THEM NOW AND GET USING THEM!! Hard wearing trousers such as light cotton, or cargo trousers – NOT Jeans – denim soaks up water and becomes heavy, uncomfortable, and cold. I’m hoping that in August -shorts will be the order of the day! Waterproof jacket & trousers. These items are very important and should be good quality items – a “pack-a-mac” or “mac-in-a-sack” will not cut it in the Alps. Sun protection – sunglasses, lip salve, sun cream, a hat and neckerchief. 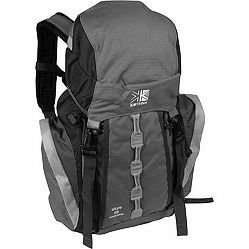 Rucksack – needs to be a least 25 litres capacity (large enough for a change of clothes, waterproofs and your lunch), with padded shoulder straps, and preferably a hip belt. Tip: Always ask for “Discount for Scouts” wherever you shop for outdoor kit – it’s usually available. Millets in town will usually give 10%, and the Outdoor Shop in Stoney Stratford does too. They’ll probably want to see your group necker as proof of membership so take it with you. Four years on from our last expedition, we have organised another trip to Switzerland. Our last trip was a resounding success and many lasting memories forged. 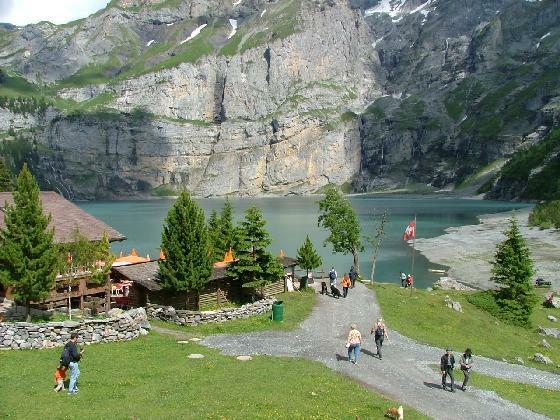 Kandersteg International Scout Centre is set in the heart of the Swiss mountains, in the Bernese Alps. 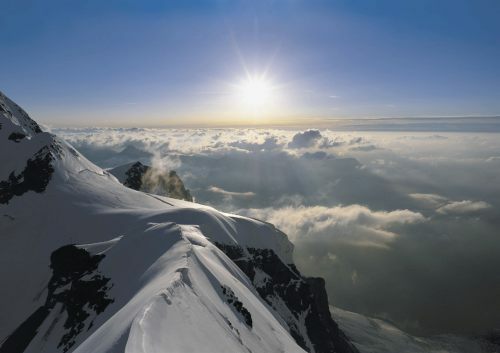 The Bernese Oberland is the principle location of the scenic wonders of Switzerland, with the Jungfrau and Eiger mountains, the Rhone Glacier, Trummelbach Falls and Lake Thun to mention a few. Kandersteg is situated at the head of a valley, in particularly rugged and adventurous country that will ensure an exciting alpine experience. 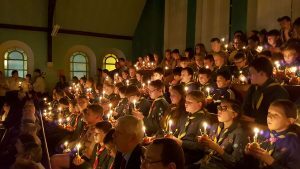 Kandersteg International Scout Centre (KISC) was founded in 1923 by Lord Baden-Powell and was his dream to provide a permanent international meeting place for Scouts from all over the world. KISC is renowned for its international atmosphere and a strong spirit of Scouting. In fact it is just like being at a mini world jamboree! 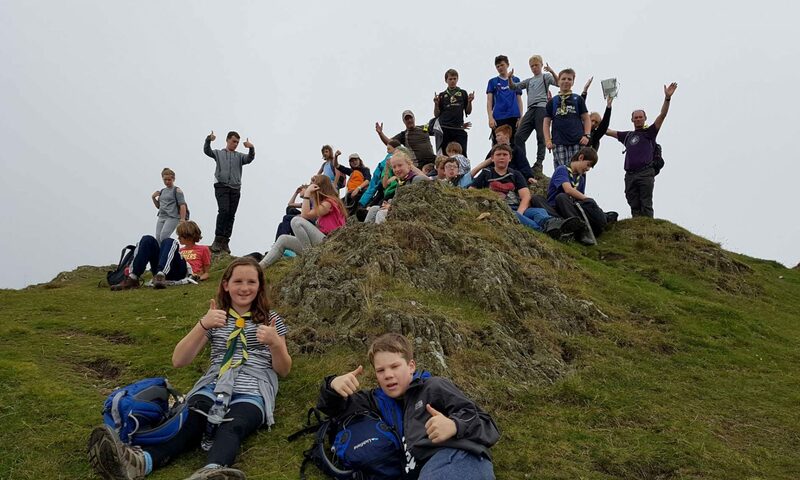 There are many opportunities to interact with Scouts from other countries and joint activities are encouraged, with international cookery, camp fires, barbecues, sports and games. To help this along we are hoping to be twinned with another group from a different country attending at the same time, to organise a meal together, or a game, or even a joint hike during our stay. The accommodation will be in ready erected tents on the main KISC campsite. We are using a company called Venture Abroad who specialise in youth group (mainly Scouts) trips such as this. Venture Abroad have their own area within the KISC camp-site, and provide all the tents, cooking equipment, marquees and even electricity for lighting and a fridge! We will generally be self catering, however meals can be booked at the main chalet canteen for those days when activities require an early start or late finish. We feel that the camping option gives more scope for evening activities, interacting with other nationalities, and gives us a firm base for the duration of the stay. It is also the cheaper option! 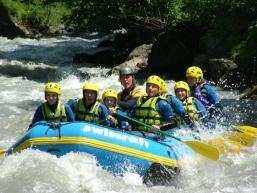 The dates for the trip are 22nd – 31st July 2011. 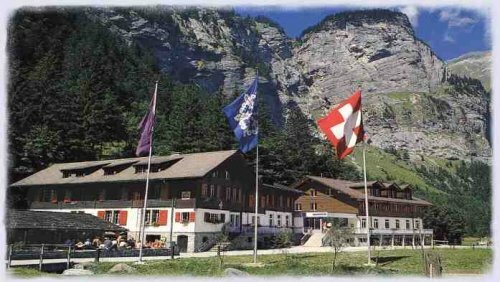 This is 7 nights at Kandersteg International Scout Centre, with overnight coach travel at either end. Venture Abroad run a shuttle service through the summer holidays, and travel would be direct from Linslade. We have priced up doing the transport ourselves but can’t match the Venture Abroad fees. Their shuttle service, filling coaches on both inward and outward journeys must make the difference! We have also looked at the option of flying, but it is more expensive and doesn’t actually save much time. The outward journey leaves at approximately 1.30pm, with ferry from Dover to Calais, arriving in Switzerland about midday the next day. Coming home departure 1.00pm arrive home approximately 10.00am the next day. Note that 22nd July 2011 is on Council’s web site as being the last day of school summer term, therefore it maybe necessary to request leaving early. 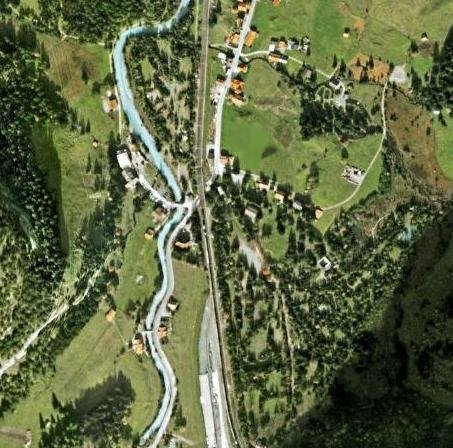 We don’t expect this to be a problem on the last day of term, however we may have to delay departure by a couple of hours.For a detailed itinerary, go back to the Kandersteg 2011 menu on the left, and click “itinerary” or click here . Have a look at the Kisc website for more information – click here .